Obtaining knowledge for the pleasure of knowing is fundamental to the human experience. This is knowledge not to pass exams or get a job or earn money, but obtained just for the pure joy of knowing. The pursuit of knowledge is a joy for its own sake. In the notes and readings which I made with my uncle, sitting in holidays in Pune of the nineteen seventies, I was introduced to the joy of reading, of knowledge not to pass any exams, or get a job or present at a business meeting, but for the pure pleasure of knowledge for its own sake. This has led me to read ethnography and see its traces in daily life, the Reading group evolving into many different areas- An Everyday History Society, or the work-diaries and weekly walks which I keep with some persons whom I have come intimately. The power of words to convey a reality from distance came through letters from Moscow, written by my grandfather. The dynamics of keeping notes was introduced to me by my uncle, a mathematician. FREE LANCER- While I remain a free lancer of sorts, not officially attached to any teaching institution, three persons who were associated with academic universities helped shape my perspective towards knowledge-systems of science, mathematics, knowing, society- my father-a medical doctor-specializing in Anesthesiology, my grandfather-Professor Ganesh Prasad Uniyal-a professor of political science, and my uncle-Professor Ram Prasad Nawani-a professor of mathematics and a lover of knowledge. Ford Madox Ford. The Good Soldier (p. 6). The habit of making notes, discussing them, brings issues into sharp focus. I still remember a beautiful evening we had together at Lodhi Gardens-Delhi, in which my uncle told of the essays on Whiggism in Indian freedom movement and the comparison between similar trends in UK. This led me to see the intellectual predecessors of the Liberal party in Britain and the parallels in India. 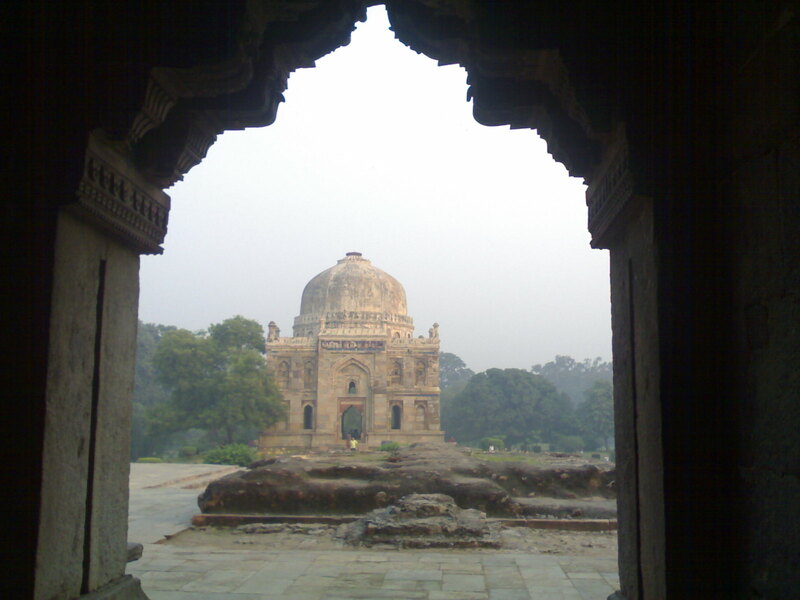 “These writings of your grandfather are valid even today, as they are not just some gossip, but properly researched articles,” he said, sitting in front of the Bada Gumbad area of Lodhi gardens at dusk. Four generations of our family have walked at Lodhi gardens –Delhi. Through notes we tried to see the relation between Irony and Dichotomy. Walks at Lodhi led to notes on the change in the tone of talk. Irony is a mood which comes across as the generation which saw the second World War when they were students, the birth of the Indian nation and its development through the fifties and sixties saw their children’s change of tone. Last year, around our (Indian) independence day, we went through some works of fiction which convey a reality which official histories avoid. Partition which came with independence is still a very emotive topic in the subcontinent. The summer of 1947 was unlike any other in Indian history, seeing the migration of around 15 million people and murdering of around 1 million. Nehru’s “Tryst with Destiny” speech does not address these aspects which were dealt with by writers such as Khushwant Singh in “Train to Pakistan”, Bapsi Sidhwa in “Ice-Candy Man” or Salman Rushdie -”Midnight’s children” in different ways. The village of Mano Majra in Khushwant Singh’s -Train to Pakistan and the inner life and voice of the character -Juggat Singh -is unraveled in many layers through the narrative. Money still has to change hands to get simple but essential things like Birth and Death certificates(DC). Corruption is the legacy of the Licent-Permit Raj days . “This is the way it is. One cannot say congratulations at getting the DC of your father, but then at least I am glad that your work was finished without further delay, ” a senior government official told me of his not wanting to intervene for such a petty matter. Otherwise, the official waiting period of three weeks would have imbalanced many things. What does Indian independence mean for millions of diaspora? Around 9 million diaspora from the subcontinent were living all over the globe at the end of 20th century, according to historian Judith Brown. Edward Said spoke of how Orientalism failed to identify with human experiences, failed to see it as human experience and in opposition to this, narrative asserts the power to be born, develop and die. Barbara Gardner writes of how Indians cover the globe, and with their physical move from the homeland, the life-stories continue but often bring questions about the place of Indians in the world today, questions about assimilation into new cultures. The many readings I had with my uncle, the walks with my father and grandfather have probably evolved to quiet evenings, reading and re-reading Frantz Fanon on evenings in Tripoli. Fanon was a medical doctor , a psychiatrist, whose work deserves close attention, especially in the context of the rapidly changing scenario post the Arab spring in Tunisia, Libya, Egypt and the wider region. As one watches the ferocious attacks on Islamists in Egypt which some journalists call a “Death match” between the military and the Islamists, the ripples are felt across the region. This gives the answer to a question one of my friends asked me a few weeks ago- Why Read Fanon in the context of Indian Independence. Fanon’s best hopes for the Algerian revolution were taken hostage and summarily executed, first by a bureaucratized military rule that violated his belief “that an army is never a school for war, but a school for civics. . . ,” and then by the rise of fundamentalist groups like the Islamic Salvation Front. Obtaining knowledge for the pleasure of knowing is fundamental to the human experience. This quest which was shaped by a mathematician and thinker, the man who taught me to make notes, has evolved through the decades into many directions. Besides keeping a medical diary, a work diary, and interviews with patients and their relatives on their ‘encounters’ with the health-care delivery systems, we also spend time reading the novels of Indian subcontinent through partition, emergency, diaspora experiences or the works of Ibn-Khaldun and Frantz Fanon to make sense of our evolving world. It all started long time ago, when my uncle taught me how to make notes. 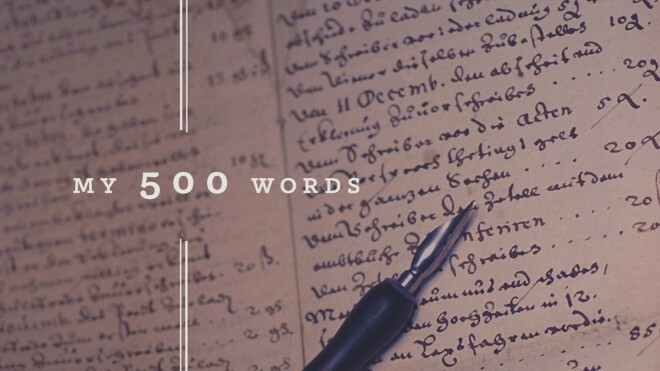 This entry was posted in life and tagged 500 words a day, Ford Madox Ford, Frantz Fanon, Khushwant Singh, Lodhi Gardens, Tripoli Reading Group. Bookmark the permalink.